So I was so excited when the post man pushed a little package through my door. 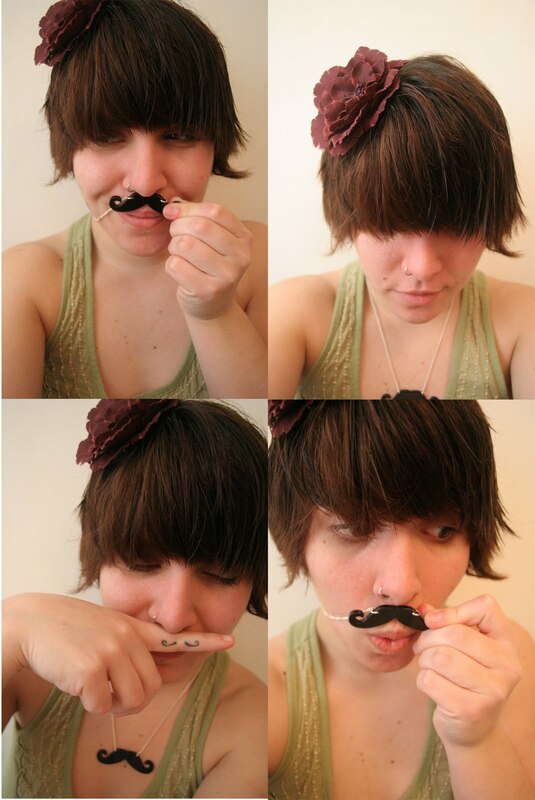 I had wanted a moustache necklace for a while and I was not disappointed. It came in a cute little box and was just what I was looking for. I got it from this great little site called Sunday Girl Accessories, which have a great collection of interesting and one-off pieces of jewellery. I must be living under a rock, because I haven't seen a mustache necklace before... but it's so cute. No wonder you were excited! Haha, have never seen one before - I LOVE IT! !